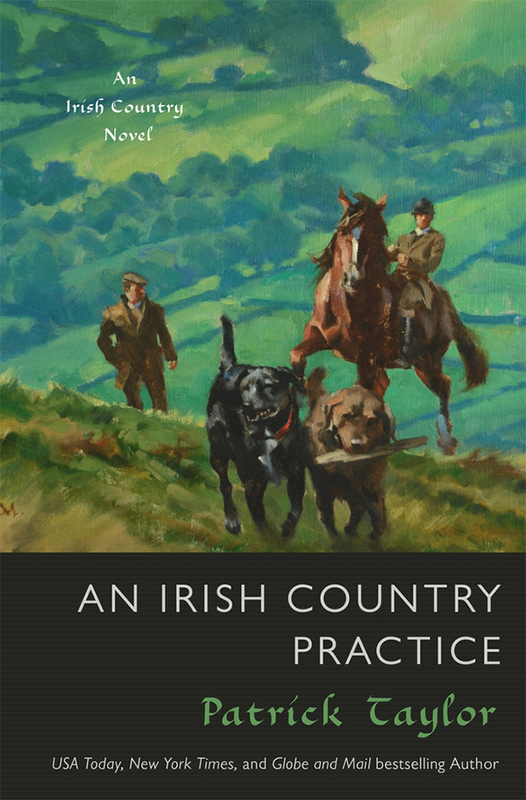 An Irish Country Practice is the twelfth heartwarming installment in New York Times and Globe and Mail bestselling author Patrick Taylor's beloved Irish Country series. Once, not too long ago, there was just a single Irish country doctor tending to the lively little village of Ballybucklebo: Doctor Fingal Flahertie O’Reilly. Now his thriving practice is growing by leaps and bounds. Not only has O’Reilly taken a new trainee under his wing, Doctor Connor Nelson, he’s also added a spirited Labrador puppy to his ever-expanding household at Number One Main Street. Meanwhile, his trusted partner, young Doctor Barry Laverty, finds himself wondering if he’s truly ready to settle down and start a family with his lovely fiancée, Sue. As the doctors cope with domestic and professional challenges, they also look after their patients and their ailments, including a mysterious cough, a housewife whose frequent “accidents” may have a disturbing cause, and a respected colleague who might be succumbing to an old vice. All is not sickness and worry, however. There’s plenty of joy and merriment to be found as well, from a visiting circus to racing to sailing . . . and maybe even a happy ending or two. PATRICK TAYLOR, M.D. was born and raised in Bangor County Down in Northern Ireland. Dr. Taylor is a distinguished medical researcher, offshore sailor, model-boat builder, and father of two grown children. He lives on Saltspring Island, British Columbia. He is the bestselling author of the Irish Country series, including An Irish Country Doctor, An Irish Doctor in Love and at Sea and An Irish Country Love Story among many others.